We promise not to stray from the capitol very often. That was our promise when we launched the Atlanta Art Blog. But the fact is, the term Atlanta covers a multitude of suburbs. On June 15, we opened our eyes in Athens (no one calls it a suburb), where the Lyndon House Arts Center hosted an opening reception for an exhibition of work by a handful of artists with southern connections: Duane Paxson, Scott Stephens, Judy Majoe-Girardin and Briana Palmer. This show is apparently entitled “BIG,” which refers to the larger scale of the works. We viewed the work on display in the Center’s Atrium gallery a bit after the lunch hour. The Atrium insisted that its own personality be heeded, dressed in the splashy orange glow of the mid-day sun as it poured through the glass ceiling and electrified the brownish orange wood floor of the gallery. Perhaps all of that tinted sunlight was appropriate for the artists’ biological references: Briana Palmer’s work referenced cell biology, Paxson insects and slugs, and Majoe-Girardin and Stephens the arboreal realm. 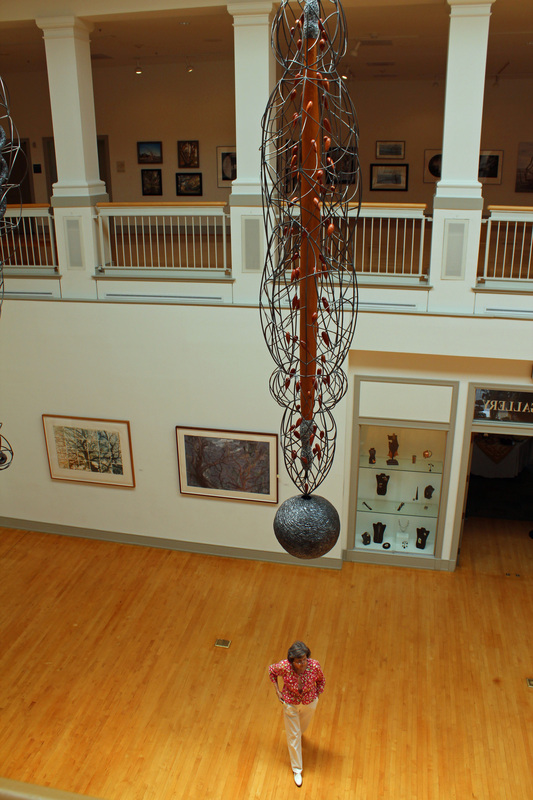 Paxson’s large sculptures hung from the ceiling and managed to command both awe and a childlike curiosity. 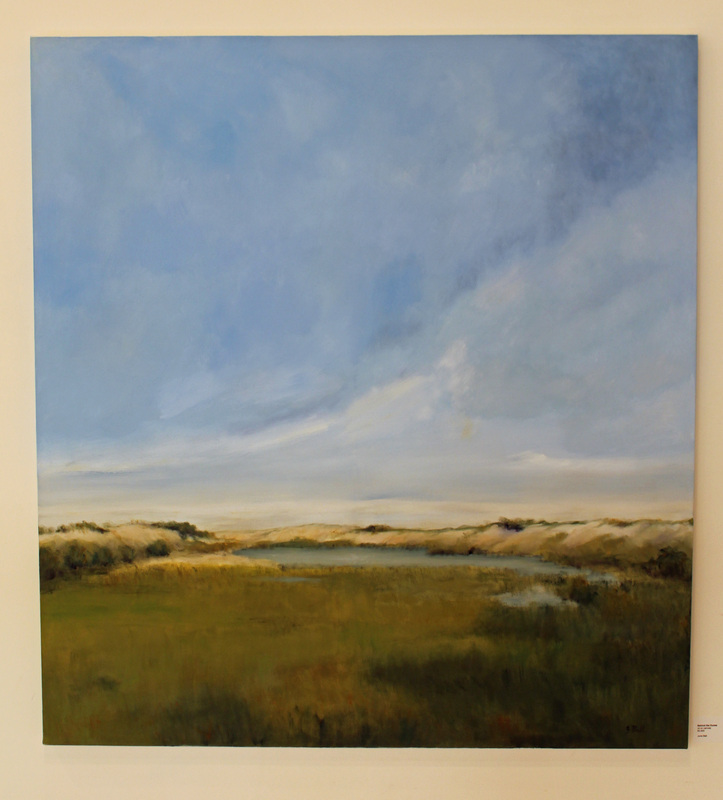 One can almost escape the Atrium’s orange light in the upstairs gallery, where the Ossabaw Artists’ Collective displayed extensive and perhaps repetitive portrayals of skeletal beach trees, driftwood, herons, and saltmarsh moonrises. Notable works included certain oils by June Ball in which a sky’s freedom is so vividly re-created, and works by Paula Eubanks in multiple media that see Ossabaw as not just an island landscape but a place that holds a human history that is worth the struggle. This entry was posted in Uncategorized and tagged Abstract art, Architecture, Art in the suburbs, Athens Georgia, Duane Paxson, June Ball, Landscape art, Ossabaw Artists' Collective, Ossabaw Island, Sculpture on June 19, 2013 by Bryan Alexander.